My usual diorama setting with barbie furniture and clothes, and with 6 shots focus stacked to keep the entire figure head to toe in focus. The First photo to roll out of my new camera, Nikon D850 (BLOG #38777). Shot at 50mm, f/5. ISO 64, 1/5 sec, on tripod (timer). wonderful setup for this beauty. Nice execution, Man. I always enjoy looking at your creative take on PVC in exquisite, appropriate settings. Thank you for sharing your pick of pix with the rest of us here on MFC. Great job sir. All the best in 2018! Thank you for this high quality shot of Mikan. I enjoyed looking at the details. Your pictures are always good but this one is so incredible outstanding. Every small detail looks correct. Lehst (Il y a 1 an) #30562711You always post great set-ups, but this one is going to be my personal fave. I'm a little biased toward this figure (out of the others in the series) but I love the way the purple bear offsets her, and the general feel to the room. Thank you! Actually the trick is the color matching (what to paint for the furniture, the walls, and other stuff) with the figure, which can be a big pain to figure out. It's actually based on the color theory wheel, on why I bought a purple colored key chain bear. 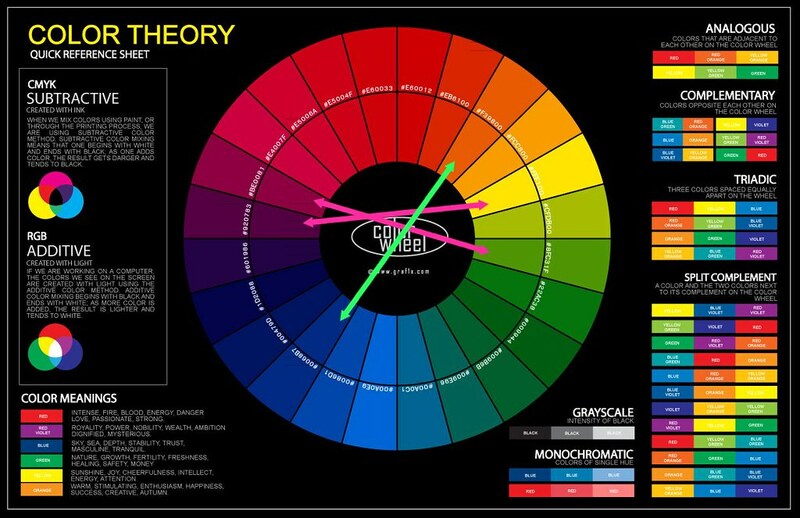 It had to be purple or violet, not other colors, because it sits on the opposite end of yellow and green on the color wheel (Color contrasting). Green and Yellow are next to each other side by side (complementary) so I went with shades of green and turquoise for the furniture. Wood/brown color is a variant of yellow, hence complementary to Mikan's outfit too. And then you have to figure out how to strike a balance when u mix up the colors. That bear's existence there is to balance out all the warm colors in the pic. Well, since Yellow/Red/Orange are warm colors, green/blue/violet are cold colors. My previous work on Saber at a Bus Stop in autumn is a classic color contrast of warm VS cold where orange is used in contrast against blue. You always post great set-ups, but this one is going to be my personal fave. OMG. You should kept your figure with that background in a display box. That's freaking awesooome!! !